What does that mean – to build a just society? One of the ways Federation does this is through our advocacy efforts. The issues facing our community are complex and challenging. The Federation’s Jewish Community Relations Council (JCRC) has already been active, speaking out on key issues. This month we will participate in Maryland’s Advocacy Day to offer our support for bills that combat hate crimes and include a Holocaust curriculum in our school system. We are fortunate to have strong lay leadership and a robust committee guiding the JCRC, and it takes significant staff engagement as well. Another “rule” that the Federation board and staff must follow is to be good stewards of your donations and ensure that we maximize our impact through programs and staff activities. Our March 1 Pop-Up Shabbat extends to all families in Jewish Howard County, to help build community amongst neighbors. In this continuing spirit of inclusion, our community-wide Purim Palooza, which brings together all our religious schools under one roof, will take place March 17 and will feature a first-time ever “Israel Escape Room.” We are continually looking for ways to bring a fresh “look and feel” to familiar events, while carefully evaluating new ways to strengthen our Jewish community. 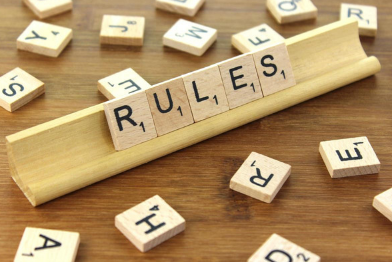 One adage states “rules are made to be followed” while another encourages “rules are meant to be broken.” The challenge lies in knowing when to follow each adage. We are approaching budget season for the coming fiscal year. One rule we must follow is to only do what our budget supports. Our ability to deliver what matters to you is entirely based on your generosity – we rely on your pledges to plan key initiatives. Help us build a just and Jewish community. Pledge or give today.